With over 300,000 views every week between my website and youtube, from 200 different countries, I simply can’t to keep up with the growing number of questions. I never expected this when I started sharing my recipes and I want this to be the best experience for everyone but it’s become overwhelming. I am a one-man operation, doing the best I can, but here is the reality: If I don’t get to 25 questions in one day, the next day it’s 50. Another couple of busy days and it’s 100 and by then I can’t catch up. I need time to work on my recipes, take the pictures, perfect the details, and share what I love. I also need time to focus on my philanthropy. Understand if I am not able to answer your questions. Please do not ask a question that you can research online. Please do not ask about changing my recipe as I only make them the way I post them. If a recipe didn’t turn out, please look at the FAQs before asking what went wrong. Please continue to share your helpful comments, especially if you’ve tried something different with one of my recipes and it turned out well. That’s helpful to all of us. 57 Comments on "Trying to Keep Up"
Do you plan on any dairy free recipes. I have just recently found out that dairy is the culprit of my cystic acne and I have stopped all dairy. Big Bummer but I am glad my acne is getting better!! I though that you retired to make more recipes for us as we love them. of coffee and ate half the recipe so good! Thanks for the nice note. And it is just me, no staff, no assistant but it’s something I enjoy. Jenny!!! I just discovered you and looooove your recipes! And… my all time favorite actress is Suranne Jones and I just found out she is your daughter!!! Aargh! I am speechless. I can’t believe it. I have watched nearly everything she has acted in. Sooo beautiful and incredibly talented. What a wonderful family you have. Question… since I spend my days reading your recipes… can a person gain weight by just thinking of food? I have no children. 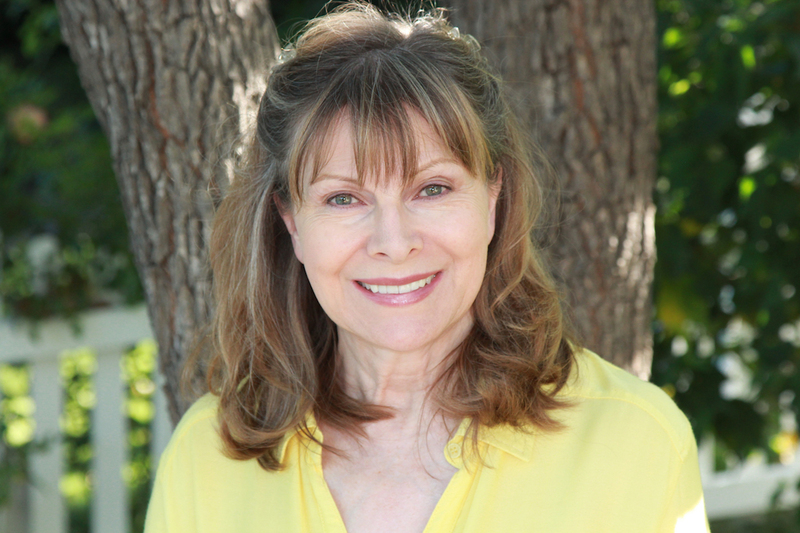 This actress’s mother is a different Jenny Jones from England, but I’m so glad you’re enjoying my recipes. Oops…sorry. You should check out the actress’s bio. Your beautiful picture is shown as her mom! Thanks for the quick response. Here’s a tip when baking bread in Dutch oven. I purchased the 8 inch Lodge cast iron trivet from Amazon for less than $8. Put it in the Dutch oven when you’re heating it up. Put your parchment paper and dough on the trivet. The bottom of the loaf comes out perfect every time. Thank you, Jenny, for all you do! OMG… NONE! I guess I’ll try using your W/W bread recipe and see what happens. Just recently came across your website. Have been trying several of the recipes and love them. so delicious. I don’t see it anywhere, maybe I’m not looking in the right place. But I do want to share, especially for my fellow apartment dwellers, that if their dishes, especially their breads, did not seem to turn out right, and you can’t figure out why, consider that the oven you’re using may not be in sync with the knob on the controls. Suggest you consider buying a cheap oven thermometer so you can ensure you’ve got the right temp and can monitor such during baking. Thank you, Ms Jones! Love your recipes and your smile! Namaste and God Bless! Do you have any live chat rooms? I wanna ask you some questions. I LOVE you. You make cooking fun and so simple. Please, I never know which shelf to put my oven rack on. Is there a rule of thumb? Everything I read is different. Please help me. Keep doing what you’re doing, you are the best. It’s always in the middle unless otherwise specified. Dear Jen: Love your recipes. Would love a recipe for breaded chicken breasts, Polish style. I think your recipe would be the best. Thank you for all your fine cooking and baking. Love it. I totally understand! And, I agree. We all love you! You are an amazing woman and so very sweet! Thank you for all you do!! The no knead crusty rolls are great. I have experimented and swapped out half white whole wheat flour…and I double the recipe. I freeze the baked rolls and pull out, however many I need for a meal. One minute defrost in the microwave..perfect. Hi Jenny . Love your recipes especially your oil based cake recipes. How much AP Flour do I need to use if the recipe has 1.5 cups vegetable oil? The recipe says 2 cups. Please Help. Love your one layer yellow cake recipe. I’m sorry I am not able to help with this limited information. Holy moly! 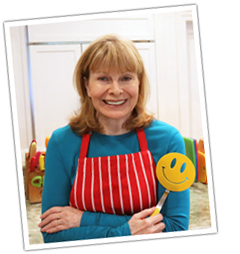 Wanted a rib recipe and watched your video, the whole time thinking you were familiar to me and then… Jenny Jones, OMG!!! Making your ribs tomorrow. I love you and happy we got back together! Hi Jenny! I love your recipes!! My son was recently diagnosed with a gluten allergy. I’m wondering if you have any ‘gluten free’ recipes. Hope you enjoyed your summer vaca!! All my recipes are here. I am contacting you from Cynogage, we are a video SSP with direct campaigns that are looking for quality inventory now. We work with brands such as Verizon, Ford, and Chase. You get a lot of user traffic on here and figured its an easy way for you to drive in more revenue. Please contact me back if you would like to make this happen. I stumbled across all your recipes and now I can’t wait to try them. I was looking for a recipe for giant very rustic sandwich buns for thick roast beef sandwiches. Do you have one? Thanks so much. I understand if you can’t answer this. Sorry, I am not familiar with this recipe. We tried to hit breads on your main home screen and nothing happens. If I key in something in the search box and then hit that I get a listing on the side and that does work. I can’t express how much happier you have made my life with these easy, easy, recipes. However, when is a good time to add any other ingredients? Such as, olives, garlic cloves, cilantro or raisins?? Thank you for sharing your information, photos and time. You should find the answers by looking at my many versions of bread recipes. How do I unsubscribe to your web site? At the very bottom of every email notification that is sent, there is a link to unsubscribe. As a fellow cook, you must know the hard felt desire for real cooking. More programs and recipes please!!!! Hi …. loved your t v show and now your videos! I’ve started cooking again because of finding your YouTube videos . Thanks so much! I want to be like you when I grow up, I am 64 and 5 feet tall, may take awhile. You are one of my heroes and I pray God continues to bless you. Hi Jenny, your remarks were so sincere and heartfelt, I was compelled to let you know just how much you’ve inspired me to bake my own bread, get courageous in my retirement, and pursue my dreams. I only recently found you on YouTube, and I was enthralled with your genuine approach and fun style! I’m an artist, and related to your love of color in your utensils etc. I made your brownies and banana bread without butter recipes. Your directions are so clear, it really makes this new hobby fun. It took three tries to make the banana bread because I have No experience baking but, the guys at work ate every bit of bread number three and four! Thanks! Jenny, please don’t feel badly! You’ve done an absolutely wonderful thing here! I’ve tried many of your recipes and they’ve all turned out beautifully – while being both delicious and nutritous! You just keep cooking, dear lady! OOPS! I almost forgot , your Pacz Thanks again for all you do for all of us .ki recipe was a huge hit here for Easter weekend ! Just a few weeks ago I finally found the tip you need for filling them ! I went to so many places looking for it my husband was ready to forget he knew me ! BUT , they were so good he humored me long enough ’til I found it ! I am very happy when I get to read your blog, watch your video’s and especially, make your recipes. They always come out very tasty and are not a problem making. Sometimes I do get like a “mad scientist” when I cook….LOL!! I, for one, totally understand you are only one person, you….by yourself, can only do so much. I’m sure you had no idea you would get such a huge response to your “fun” project of cooking and posting. You are doing a wonderful job!! YAY you!! It does take up a lot of time and it does need constant attention. No worries on my part, I’d like to see you at least once every two weeks if not more, but I do understand. Just remember, this is suppose to be fun, for us and you too. Keep doing what you do….keep working on your recipes, take all the pictures you need, keep perfecting the details, and when you’re able, share what you can. Happily waiting till your next recipe.